Italy’s Arte Povera iconic figure in landmark Lausanne exhibition. Arte Povera figurehead, whose sculptures in 2013 filled the gardens of the Château de Versailles, gets his first exhibition in French-speaking Switzerland at Lausanne’s Fine arts museum. 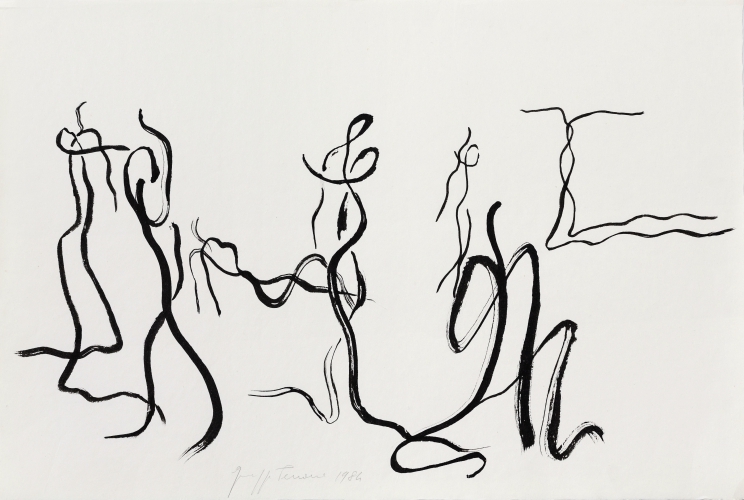 Considered one of Italy’s foremost contemporary artists, Giuseppe Penone shares his own collection of drawings by Alberto Giacometti, Amadeo Modigliani, Giacomo Balla, Pierre Bonnard, Kazimir Malevich and Louis Soutter in dialogue with his own works. The Lausanne exhibition offers a panorama of one of the more subtle artists of our times. 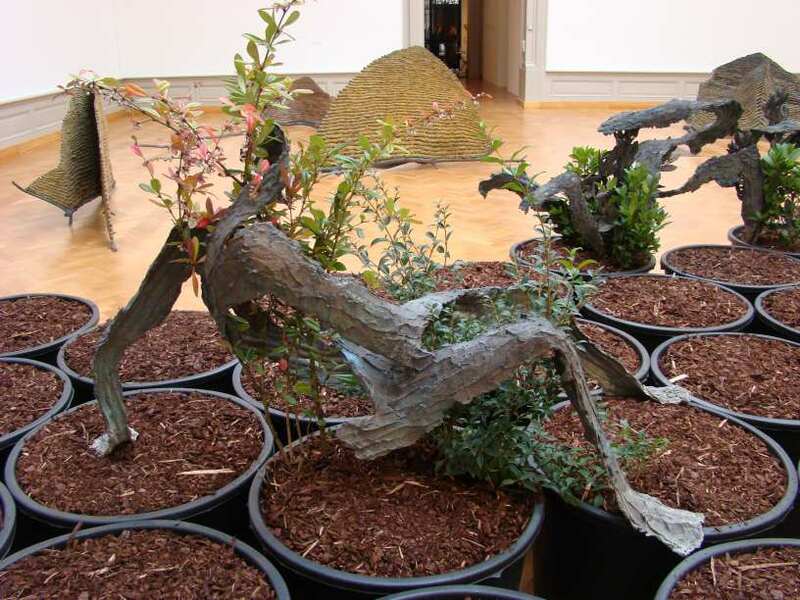 Deeply influenced by Arte Povera, a late sixties and early seventies avant-garde art movement in Italy that proned the use of ‘poor’ materials, Penone uses nature as his muse. Drawings that the Italian artist has acquired over the years are hung alongside his own works, revealing affinities and resulting in a strikingly harmonious show. 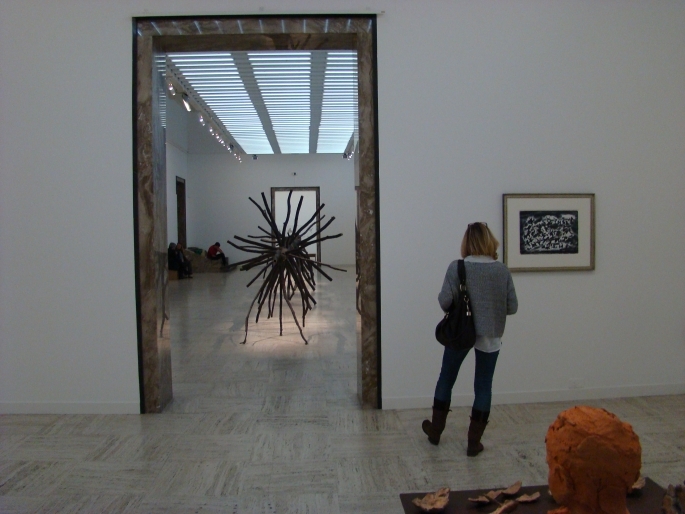 The generally hostile rooms of the Palais de Rumine have been tamed by the earthy lightness of Penone. 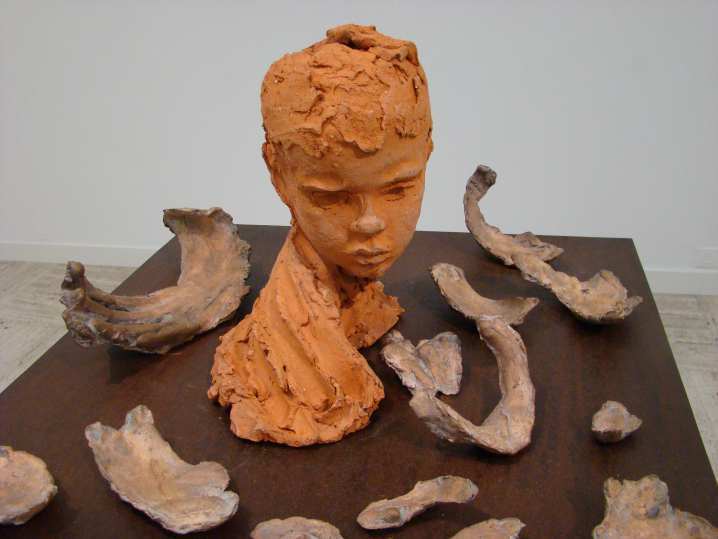 This is because the Italian artist captures the traces that nature produces with infinite grace. The rooms that contain the delicate drawings fan out around Penone’s large hallmark sculptures, some with live vegetation. 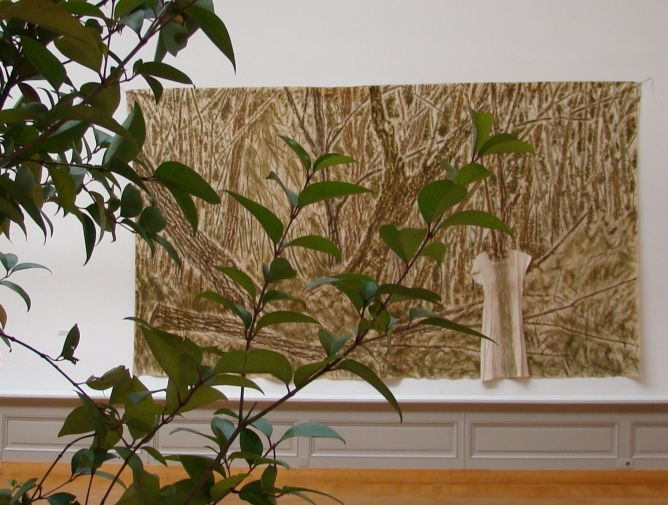 Whether in his paintings, where thousands of tiny brushstrokes reproduce a pile of leaves dented by a fallen body, or his drawings that are populated by the concentric lines of fingerprints, or yet again his sculptures that unfailingly relate to branches and trees, Penone is like an Aborigine on a songline, listening to whispers of the land and the silent growth of trees. “Everywhere there is the presence of the hand,” says museum director and curator of the show, Bernard Fibicher, whose idea it was to invite Penone with his collection of drawings. He points out that Penone’s approach to sculpture is highly tactile and how even the bronze forms retain the shape of the artist’s fingers as they molded the cast. ‘Regards croisés’ is a landmark exhibition of Giuseppe Penone, a singular artist who says so much with apparently so little.